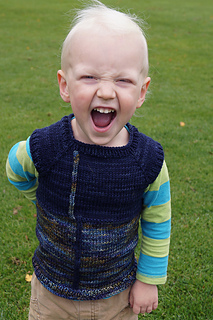 Seamless knitting with some extra spice! 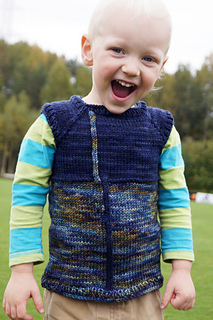 Rim, Swedish for “rhyme”, is a top-down vest that will keep the little one warm and happy. 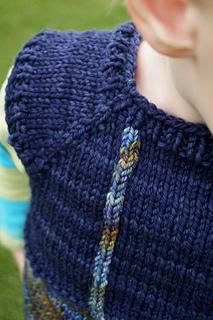 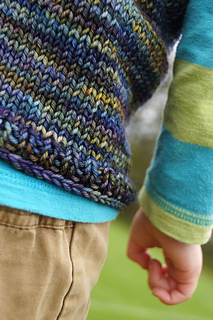 The garment is worked in one piece from the top down, featuring a knit-as-you-go I-cord with a fun twist. 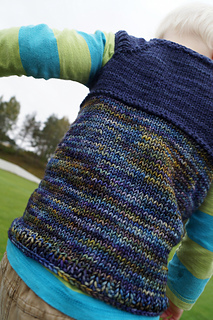 This two color creation gives the perfect opportunity to play around with fun combinations.